The Board of Trustees of Princeton Theological Seminary is pleased to announce the unanimous election of the Reverend Dr. M. Craig Barnes as its seventh president, and as professor of pastoral ministry. 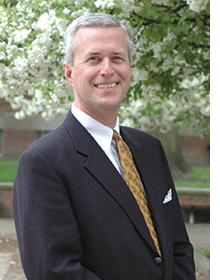 Barnes, a 1981 Master of Divinity graduate of Princeton, has also served as a trustee of the Seminary. Dr. Barnes currently serves as the Robert Meneilly Professor of Pastoral Ministry and Leadership at Pittsburgh Theological Seminary and pastor of the 1,100-member Shadyside Presbyterian Church in Pittsburgh. Here is the announcement in full.